Marbella Clubs, classes and after school activities will keep your kids and teens busy, entertained and engaged in learning new skills. Whether you're looking for a great sports programme, arts courses or fitness club of any kind, you'll find it right here. There is a huge variety of programmes offered in and around town as well as other groups and clubs scattered all throughout the Costa del Sol. Finding after school activities in Marbella and the Costa del Sol for your kids is no easy task, with so many clubs, classes and groups to choose from. It's finding the right ones that will keep your kids engaged and having fun, so try out a few of our recommended clubs below. We've personally met these clubs and recognise them as being local authorities in their respective fields. Some of these kids classes we have tried ourselves and we are able to give a personal review, while others have been reviewed by other parents who give their point of view. From Marbella dance schools to football clubs, the Costa del Sol has a lot to offer. We have categorized our groups into four different areas of interest to help you find your way - Sports, Dance, Music & Art and Other Clubs. 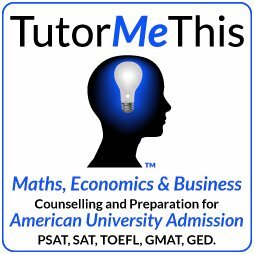 Most of these extracurricular activities are geared towards children, but many of theme also offer training for adults, so browse around and read the details. Scroll to down to continue reading or click here to read more. Tennis Brothers Marbella is a fun and engaging sports camp for kids to engage tennis. Located in Nueva Andalucia, Tennis Brothers offers highly professional coaches in a environment your kids will love. Royal Tennis Club Marbella is a full service facility located just east of Marbella offering a wide range of tennis instruction for kids, teens and adults in groups or for one-on-one lessons. Marbella Rugby Club provides world-class training, events and matches to kids on the Costa del Sol and is highly recommended by parents for their professionalism and solid team results. Inter Marbella CF is an English football academy for kids on the Costa del Sol where some of the best qualified coaches come together to teach both boys and girls the principles of competitive football. Performance Training from professional trainer Manu Poggio offers kids fun exercise classes in Marbella for children aged 7 to 18 years old with high performance in mind. Impact Gym - Martial Arts has one of the best Costa del Sol martial arts academies around with classes for kids and adults to train in Kickboxing, KickFit, Boxing and more. Royal Tennis Club Marbella offers a variety of fun and engaging martial arts lessons for kids and teens from their facility just east of Marbella. Check their site for the latest classes this season. Glow Wellness & Fitness offers a range of fun, engaging classes for kids of all ages. Contact them for details about their classes on: swimming, martial arts, dance, cooking and more. Wing Chun Marbella is recommend by families on the Costa del Sol for this unique martial art which teaches correct posture, structure and alignment, making it among the most effective forms of self defence. Gymnastics Marbella introduces and develops boys and girls aged 4 plus in the physical activity of Artistic Gymnastics in a fun, varied and progressive environment. The Mediterranean Youth Orchestra welcomes string students from 7 to 13 years of age to develop their individual talents under the honorary presidency of Daniel Barenboim. LAMDA at Kids Club at the Marbella Club is at the beautifully appointed Kids Club situtated inside the Marbella Club Hotel. Many after school and weekend workshops available. 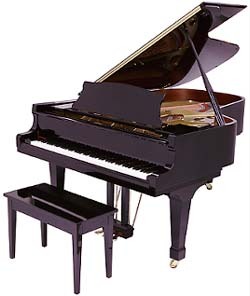 Piano & Singing Lessons Blog is a collection of contributions from various providers on the Costa del Sol who offer private and group lessons to kids, teens and adults. Water Star offers private swim lessons or group classes for up to three children. Swim lessons are available in and around Marbella and in English, Swedish or Spanish at very competitive prices. 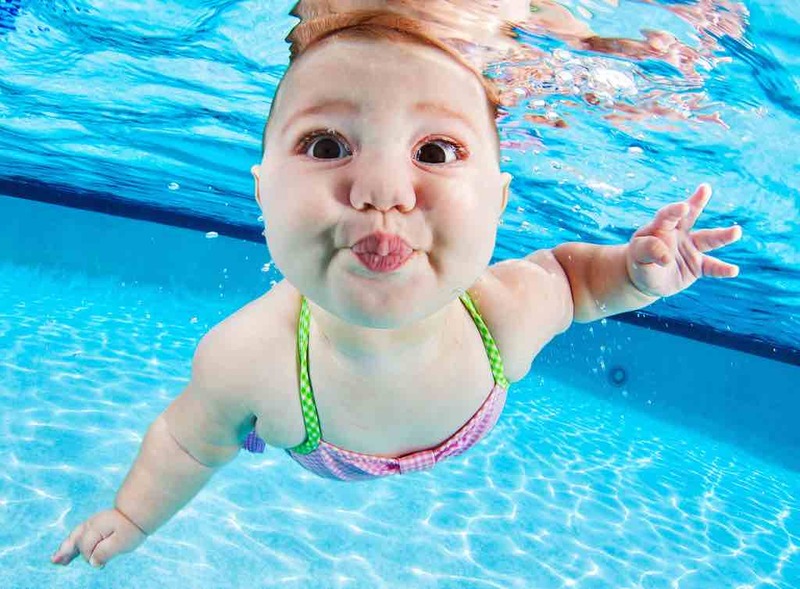 Glow Wellness & Fitness in Puerto Banus offers swimming classes for little ones in a heated pool that uses an eco-friendly cleaning system based on salts rather than aggressive chlorine chemicals. Royal Tennis Club Marbella in Las Chapas offers private swim lessons or group classes for kids and adults at their facility located just east of Marbella. School of Russian Ballet is a recommended dance school in Marbella for students of all levels and ages. Studying Classical ballet strengthens the body and mind unlike any other form of exercise or artistic expression. Cezar and Katerina Danza Academy is owned and operated by a finalist of the World Championship of Professional Dancers in Ballroom and Latin Dance. They offer classes to adults and children in Marbella and Gibraltar. Dance Marbella is a professional dance school offering private and group classes in latin and ballroom dance for children from 3 years and older on the Costa del Sol. 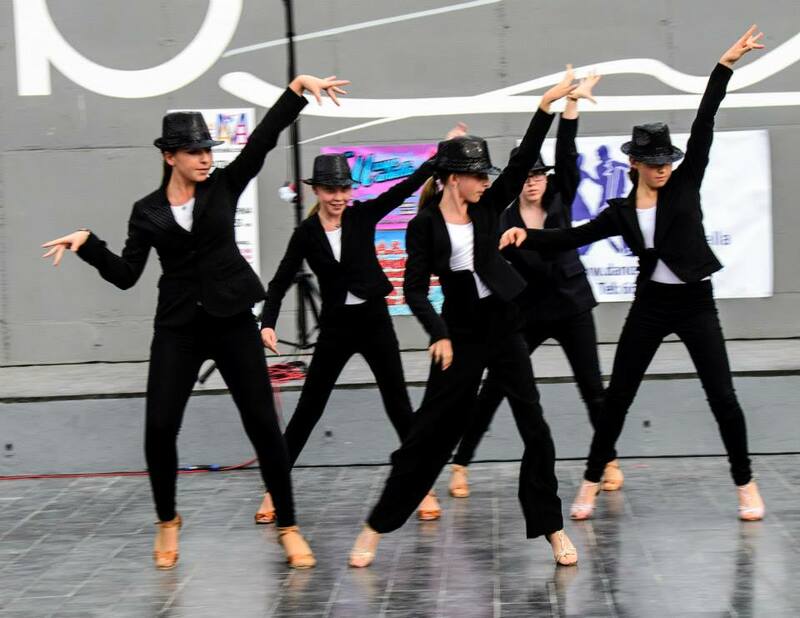 Dance With Us is a progressive dance school for kids, teens and adults in Marbella wned and operated by Petra Kovacik, a creative choreographer who has won multiple championships on the European dance circuit. Costa All Stars Cheerleaders are the only BCA (British Cheerleading association) Squads on the Costa del Sol with classes taught in Fuengirola, Las Chapas, Marbella and Sotogrande. 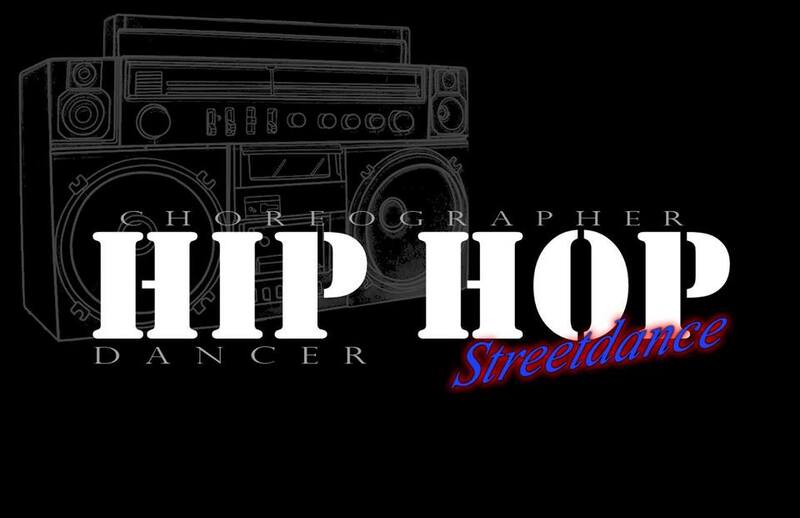 Sash Xpression Hip Hop & Street Dance is Marbella's Hip Hop and Street Dance destination for kids, teens and adults. The studio is runs courses in several well known fitness centres in Marbella and also offers private classes. Fantasy Land Parque Infantil is a great place for the kids with loads of fun activities to enjoy. They provide birthdays and party planing as well as amazing after school activities. Clubs Complete is offering a new and improved summer camp this year at Sotogrande International School including a Morning Camp, Full Day Camp or Residential Camp open to children aged 3-14 years. Clubs Complete in Marbella - at the Laude International College in San Pedro offers children between the ages of 3 and 14 a wide variety of athletic and creative programs for you to choose from. Marbella Clubs Complete is day camp only. The Multisports Club and their new Eco-Woodlands Play Zone in offers sports activities for both children and adults based in Aloha Gardens in Nueva Andalucia, year-round. Funky Forest in Estepona offers a safe, secure play area with loads of classes for kids 3 to 11 years of age. This is a place where kids can play, create, stimulate and enjoy while you enjoy a great coffee, lunch or dinner. Glow in Puerto Banus offers regular cooking classes for kids, enabling them to prepare delicious culinary delights themselves. In no time, you'll find that your kids will want to personally create family meals for everyone at home to enjoy. 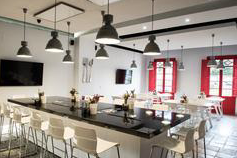 FoodRoom - cooking classes for kids and adults. Includes: Lunch, hands-on instruction of a wide variety of cooking styles as well as cuisines, Apron, recipes, notebook and Graduation Diploma. Costa Women is a social network community for expat women living in Spain to share friendship, support and provide knowledge about living in this vibrant country. Nederlanse Club Costa del Sol is where you can find out what the Dutch community is up to on the Costa del Sol. Irish Club of Marbella was set up in November 2009 for people to get together in a social setting and to welcome friends and newcomers alike. British Legion is the UK's leading Armed Forces charity and one of its largest membership organisations. American Club Costa del Sol includes several hundred members who support the American Club of the Costa del Sol with 4 chapters and over 37 years in Andalucia. Asociacion Francofonos de la Costa del Sol is an association that started June 2004 under the name Asociacion Francofonos of the Costa del Sol. All nationalities welcome. Diabetics Support Group Costa del Sol supports diabetics across the Costa del Sol and is based in La Cala. American Club of Estepona is where you can read newsletters and stay on top of all activities with the American Club. International Club of Estepona was formed in 1988 to provide a social and cultural dialogue to English speaking people in Estepona. Lion's Club of Marbella is a charity organization that includes people from all countries and nationalities. Salon Varieties Theatre Club is a club which invites all patrons to join. They run many fund-raisers, the proceeds of which help to keep live theatre thriving here on the Costa del Sol. With so many Marbella clubs and afterschool activities to choose from, you will find it hard to stick to just one. Let your children try out as many as possible while they are young. Developing minds and bodies enjoy challenges and give children a head start with new skills and healthy habits. Just be careful to not overload your children too much. If your child starts to complain that there is not enough time for unstructured play or school work starts to take a down turn, it is time to re-evaluate your extrac-curricular activities and decide if perhaps you are overloading your children with too many activities. Football is a very popular sport in Spain and almost all boys who live here spend some time on the football pitch. It is a great sport to get kids outdoors and there are some clubs that have football clubs for girls too. As boys grow older, they often want to start pumping weights in the gym, however, this can be a dangerous for developing bodies and should never be practiced without guidance. Choose professionals to work with your children in training at the gym to reach their full potential without injury. Most girls at some point in their lives take a course in dance. From ballet to hip hop tocheerleading, there are plenty of Marbella dance schools and Marbella clubs for dance to choose from, so it's just a matter of finding the right venue and style that suits your child. Girls also often have dreams of performing in the theatre or making it big in Hollywood and there are several stage schools on the Costa del Sol that can fit every child's needs with classes in performance, singing, dancing, drama, LAMDA exam preparation and speech making. 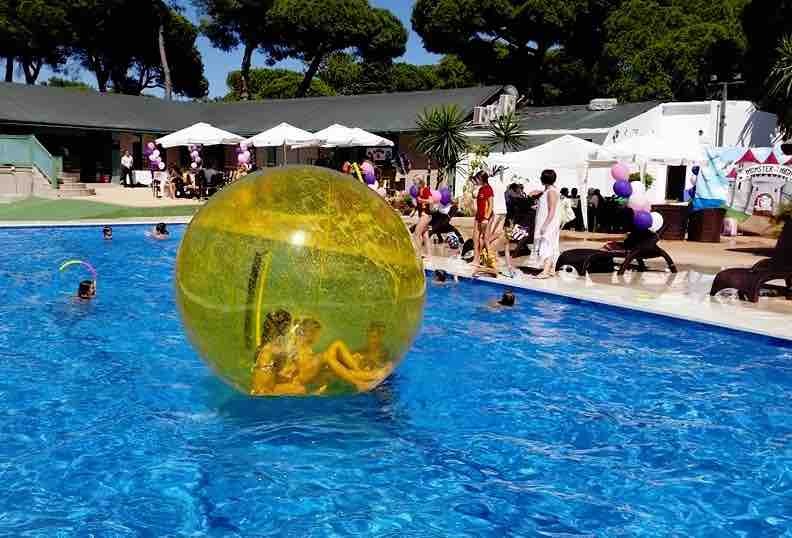 You may want to try several Marbella clubs throughout the year to find your child's favorite. Both boys and girls can enjoy a variety of other Marbella clubs and after school activities such as swimming, kickboxing, wing chun (martial arts) or even paintball. Children who love a variety of sports may be interested in The Multisports Club where kids never get bored commiting to just one sport. Whatever activities your kids like they are sure to find Marbella clubs, classes and after school activities that they will find enjoyable and enriching: including: sports, dance, drama, art and much more. HFG Labeling Services provides a wide variety of name tapes, labels and after school accessories to make identifying your children's personal items easy. Tired of losing expensive clothes when your kids are at after school activities? 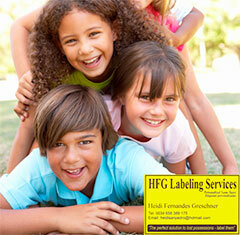 Solve the problem with a quick and attractive label solution from HFG Labeling Services. Filipinas Internas offers families in Marbella and the Costa del Sol professional domestic help including nannies, housekeepers, maids, gardeners and adult care nurses. Mary Poppins Services is the first agency in Marbella specialised in the recruitment of highly-qualified staff and caregivers including: nannies, babysitters, housekeepers, and adult care.